I’ve taken some time off work while the family regroups from assorted medical issues, and since they seem to be more or less on the mend I’m sopping up spare time with plant sales and garden tours. Some nurse, huh? Living without back-to-back work deadlines is a heady, liberating experience, kind of a mini-preview of retiring from the day job, and I confess I’ve been running just a bit amok. Imagine a hummingbird’s interests and metabolism in a 5’8″ woman with a car and a smart phone making up for the lack of wings. There will be plenty of time for the mundane tasks indoors of cleaning out junk rooms, attending to the paint-starved main room, but right now I’m as mad about spring as any bird or six-legged creature, and hopping around gardens just as furiously. And then there’s this new camera to get the hang of, not to mention a blood-red poppy that’s greeted me the past few mornings, new to my garden, Papaver commutatum, aka ladybird poppy. Devilishly tricky to capture in portrait due to its intense color saturation. The morning sun effects an astonishing transformation when it touches those translucent petals, igniting them into molten chalices, and that’s the full-throated portrait of a ladybird poppy that eludes me. My old standby, the Poppy of Troy, is much less shy around a camera. 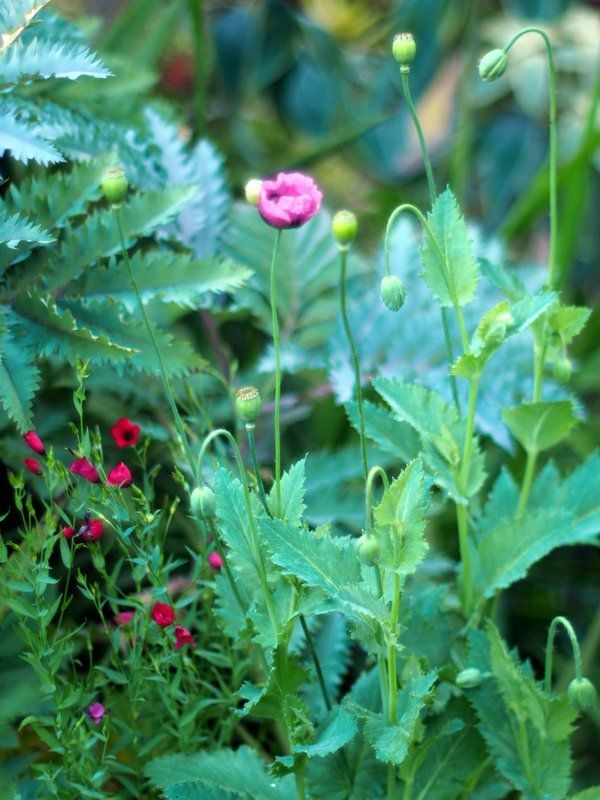 I still love everything about poppies. Crinkly buds on reedy stems carefully unpack their wrinkled folds to unfurl full-sail, silky blooms. A springtime performance that never gets old. 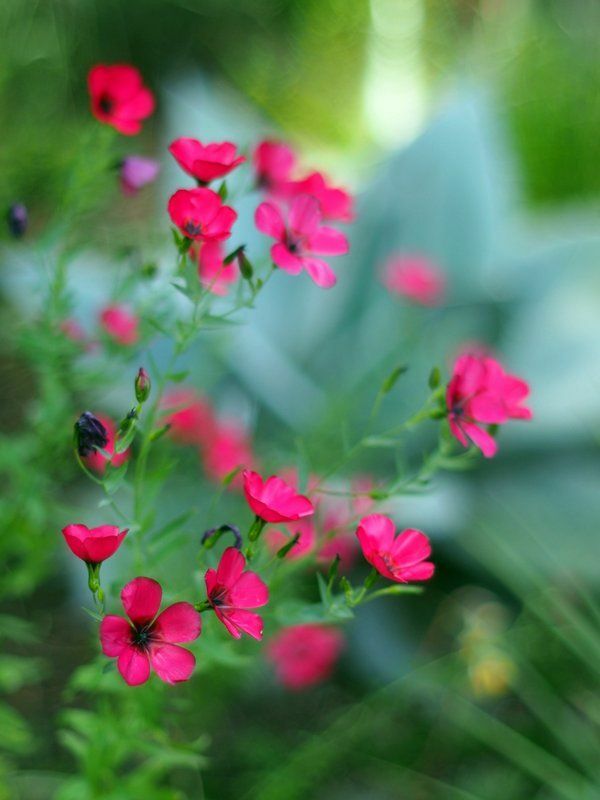 More intense red is coming from the scarlet flax, Linum grandiflorum rubrum. The cool spring weather has been exceptionally kind to this annual from Algeria. I’ve never known Yucca pallida to be recommended for its blooms, and in fact it may be somewhat shy and unreliable in flowering, but the winter rains seem to be convincing a couple of mine to throw bloom spikes. 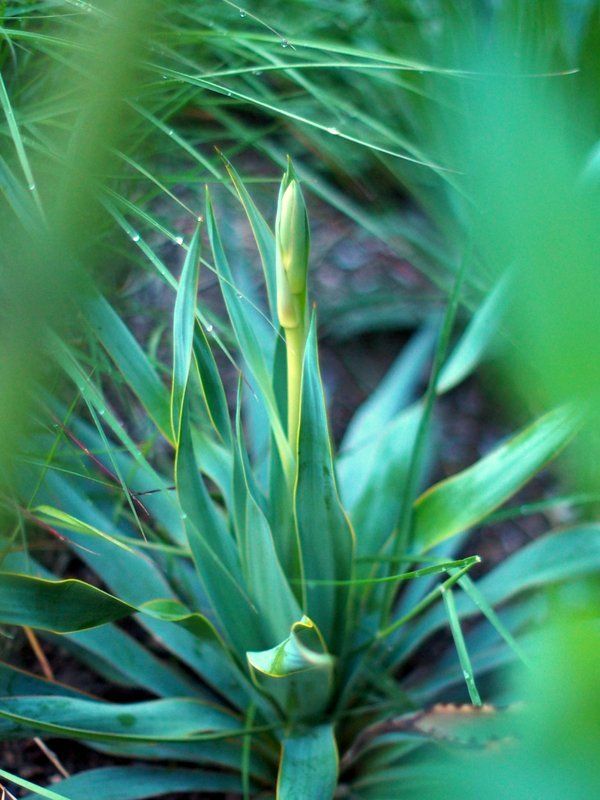 Now we’ll see firsthand what the pale yucca in flower is all about. I think Yucca ‘Blue Boy’ may be intending to bloom as well. 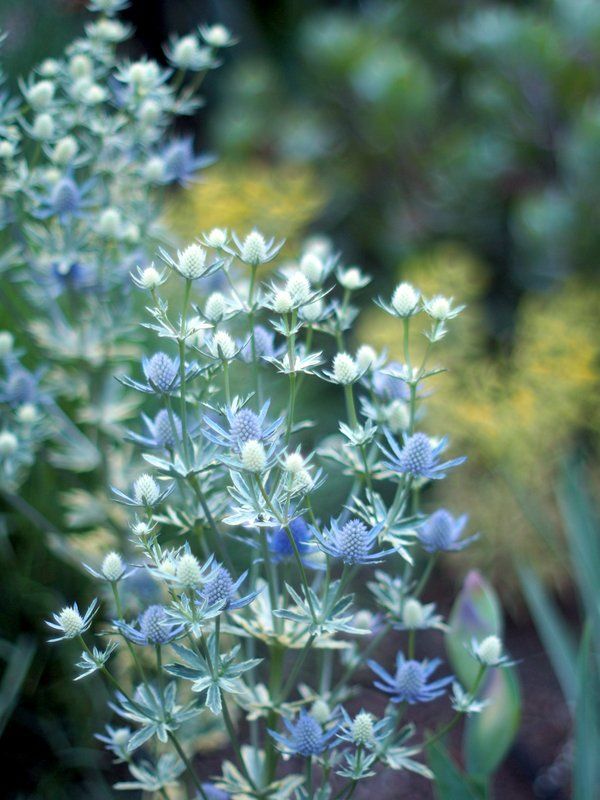 The milky white ‘Jade Frost’ eryngium bloom trusses are now bluing up. 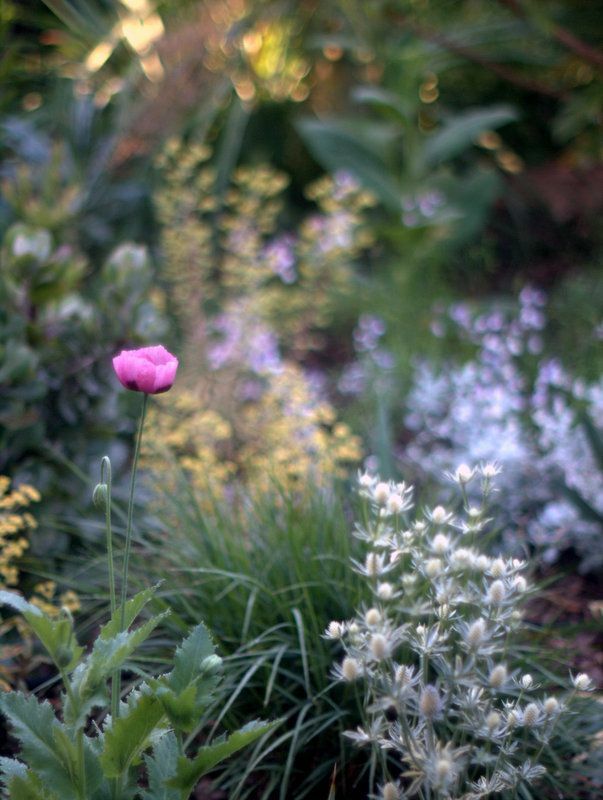 This dry garden perennial has been challenging to establish in spring. It was nursery grown in nearly pure sand, so it readily wilts if overlooked for a few days. Major planting in Southern California gardens, because of our long dry summer/wet winter mediterranean climate, is strongly advised for fall. But then the drought made timing for planting a moot point, and we switched gears to survival mode. And I’ve always tended to flout the planting rules anyway, with occasional failures but some successes too. I did get this Leucadendron meridianum ‘More Silver’ planted late fall, so it had a wonderful time settling in throughout the drought-breaking, rainy winter. Leucadendron galpinii was also a candidate for the spot but didn’t make the cut, so will spend a second year in a pot, part of my ongoing Shrubs in Pots experiment. 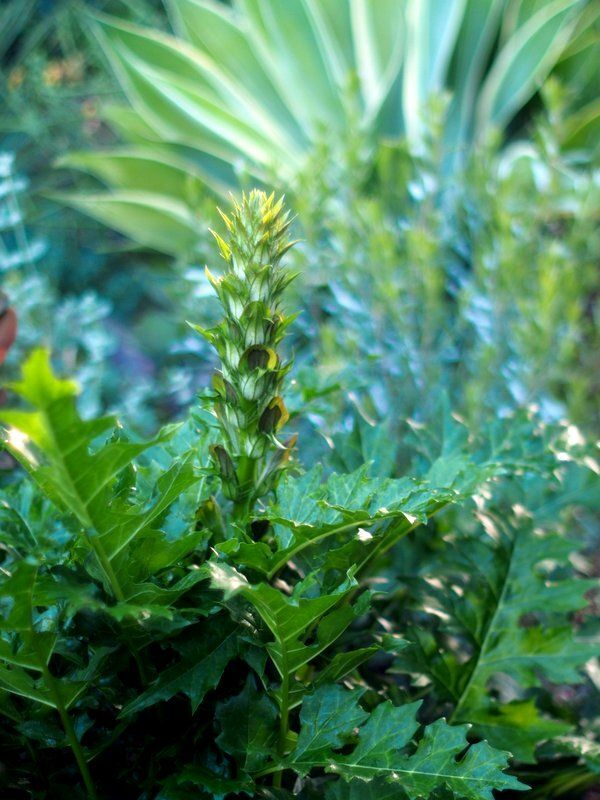 The acanthus hybrid ‘Morning Candle’ had most of the rainy winter to settle in too. For some plants, the epic winter rain was a challenge. I opted to remove a large octopus agave from the back garden when its leaves began to disfigure with black spots from the soggy ground. And I can finally stop worrying about this verbascum planted in a low-lying area. The Theodore Payne native plants garden tour a couple weeks ago made me realize that the lack of a flannel bush in the garden was a serious oversight. 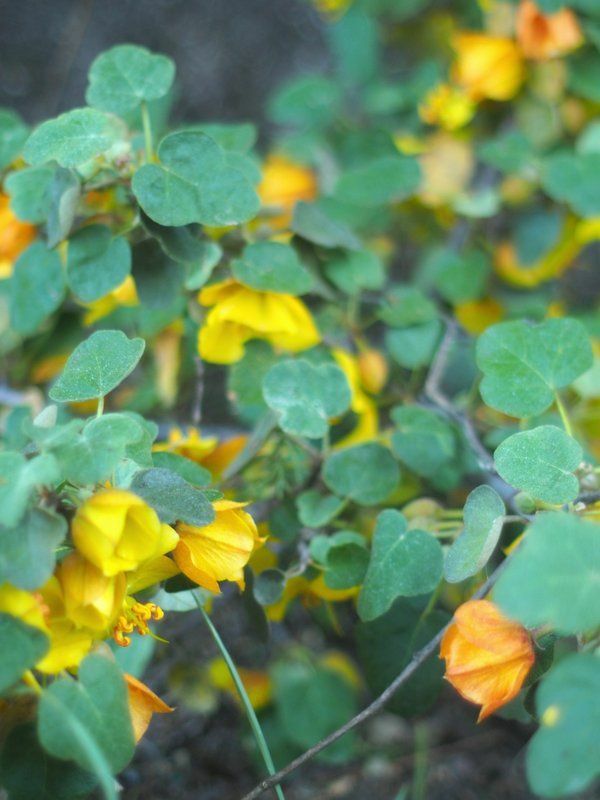 Spring is definitely not the time to plant California natives, so I made a mental note to order the compact Fremontodendron ‘Ken Taylor’ for fall planting. But you know how it goes. At my neighborhood nursery last week I noticed a couple of beautifully grown flannel bushes. No name, in 3- gallons. The difference in eventual size between ‘Ken Taylor’ and ‘California Glory’ is substantial, at least 10 feet in girth and height. 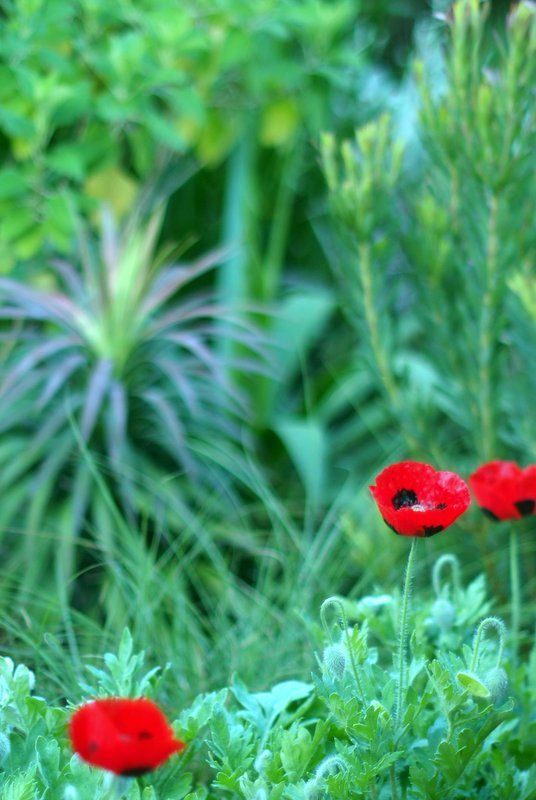 A small garden needs ‘Ken Taylor.’ But California natives planted in spring risk succumbing to warm-weather soil pathogens as water is poured on hoping to revive wilting, summer-stressed plants. Still, I had to ask, so I pestered an employee: Any chance you can source the ID of that flannel bush through your database? The one Echium simplex was perfect this year. 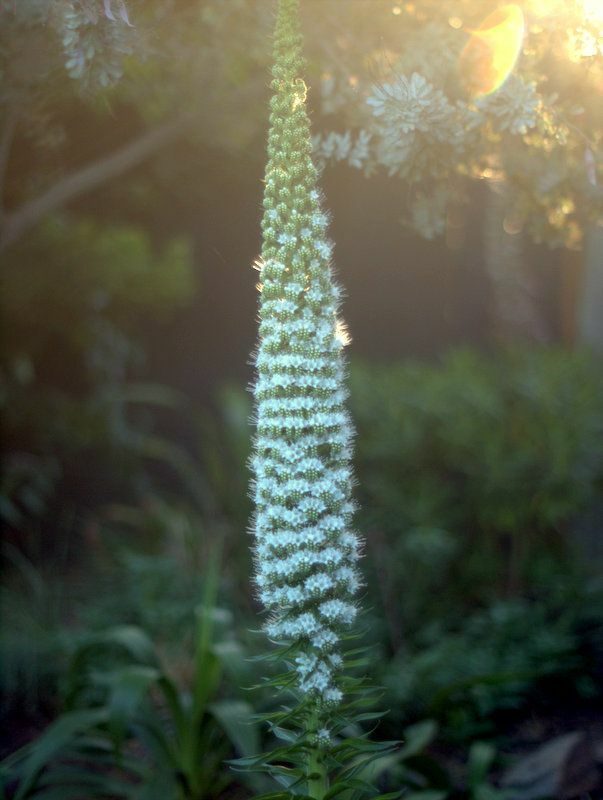 Last time they bloomed the spikes were deformed by fasciation, an affliction where parts of a plant fuse together and take on bizarre, unnatural shapes. I say affliction, but some people adore fasciation. I admit in some cactus it’s kind of cool. But, yes, I did plant the flannel bush. After asking for help with the ID, a lengthy line of customers began to queue up, so I told the clerk never mind and continued wandering. What was I thinking, buying a large flannel bush in spring anyway? But who should come running up maybe 10 minutes later to tell me both were ‘Ken Taylor’ — I hadn’t even mentioned which variety I was after. I think I may have hugged him at that point. So of course I bought it and planted it in spring, which is ill-advised. But that’s how these ill-advised things happen. 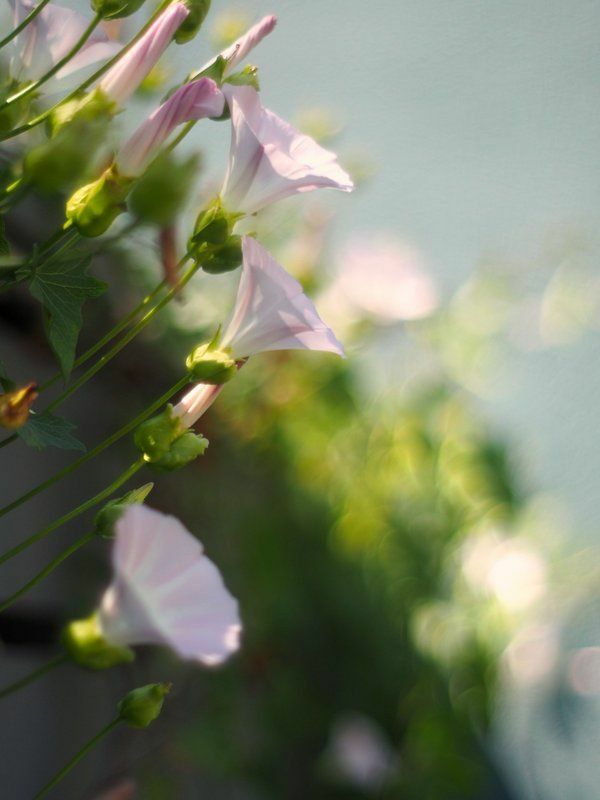 Morning glories are scary invasive plants in Southern California, but this relative, Calystegia macrostegia, is a non-invasive native of our Channel Islands off Ventura County. It outlined some impressive arabesques against a dark fence. I had never heard of it, which I mentioned to a nearby Theodore Payne tour-goer, to which she replied, “I’ve got four at home.” I clearly have some catching up to do with our native plants community. 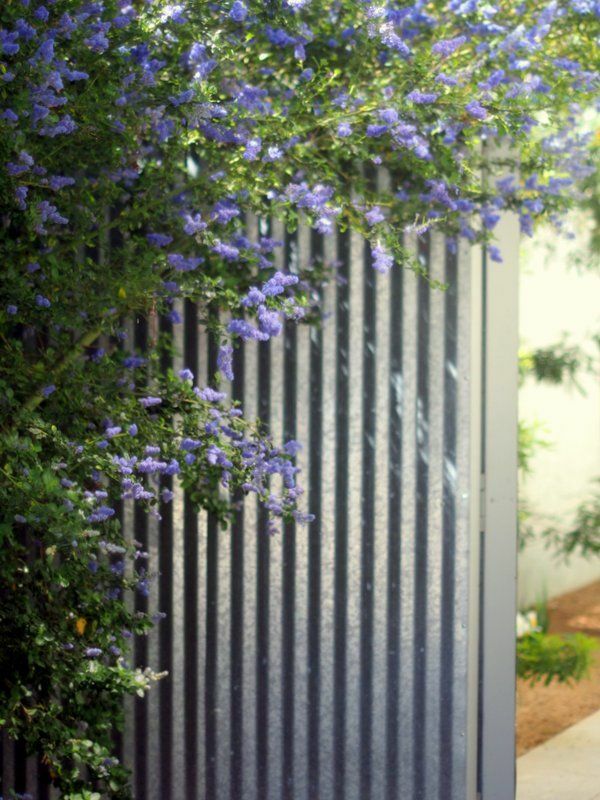 Ceanothus ‘Frosty Blue,’ also from the Theodore Payne Native Plant Garden Tour. This entry was posted in clippings, garden travel, garden visit and tagged ' Yucca pallida, Acanthus 'Morning Candle', Calystegia macrostegia, Eryngium 'Jade Frost', Fremontodendron 'Ken Taylor', Island Morning Glory, Leucadendron meridianum 'More Silver', Linum grandiflorum 'Rubrum', Papaver commutatum, poppies. Bookmark the permalink. Love the truly whimsical whirls of your Leucadendron galpinii. If it looks that great in a pot I’m sure it will look fantastic in the ground when you find the right home and timing. Spring requires one’s full attention, doesn’t it! I can’t begin to tell you how many pictures I’ve already taken in advance of Bloom Day. When you mentioned the Fremontodendron, my eyes widened in disbelief but I didn’t know there was one in a more manageable size. 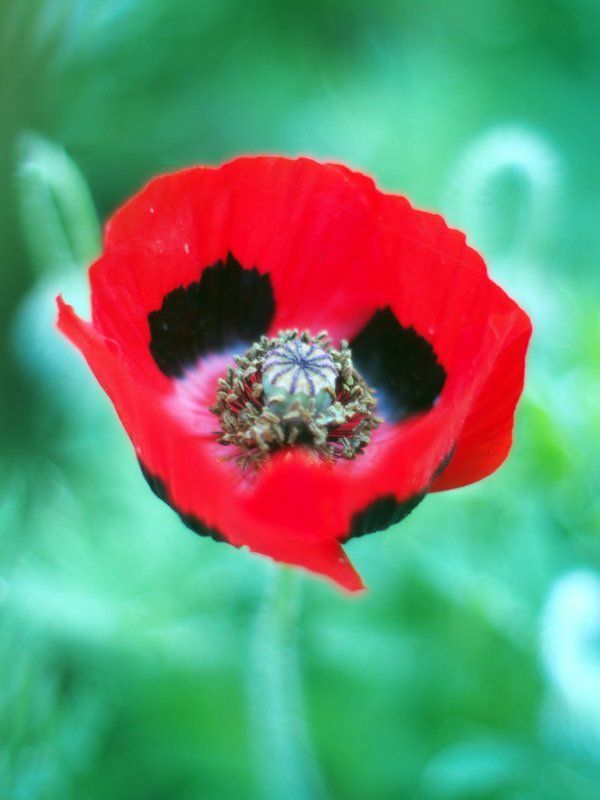 Your poppies are a wonder. 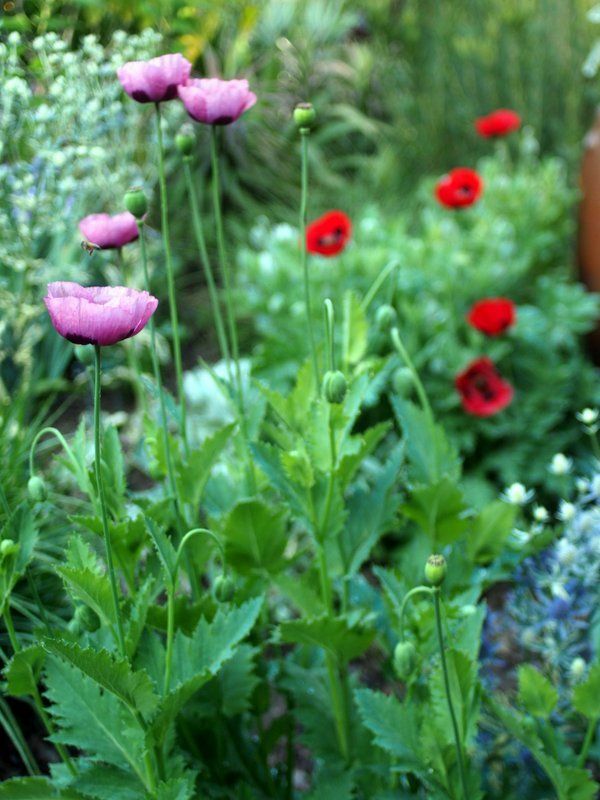 There must be some fundamental difference in our soils as I haven’t been able to grow poppies (with the exception of the Iceland species) at all. Once again the Agave attenuata ‘Ray of Light’ literally makes me gasp. 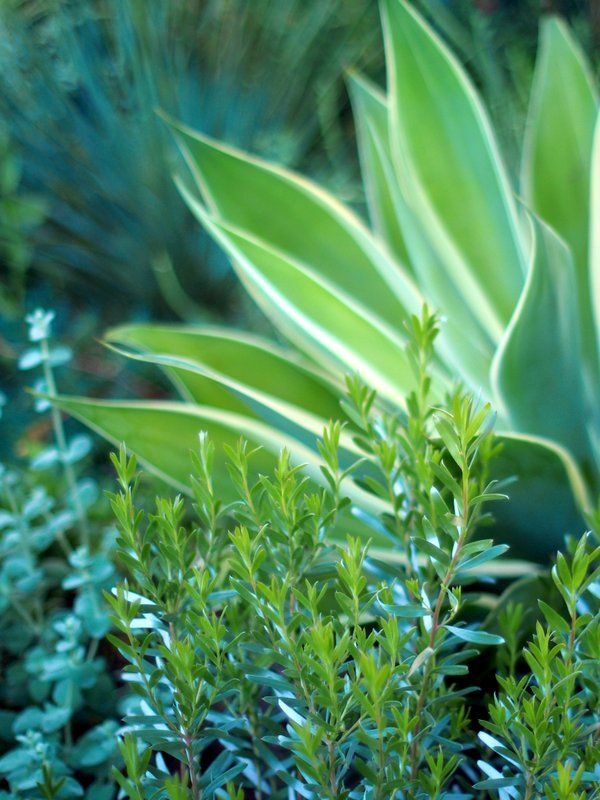 What plant is the foliage fronting ‘Ray’? It looks shrubby but petite. Silver leucadendrons also take my breath away. Decades ago now I used to go sit near them in Strybing Arboretum (now SF Botanical Garden) and drink them in — so strange to my eastern-woodland eyes, but so gorgeous. Of all the fantastic plants there, they’re the ones that stick with me. How big will ‘More Silver’ get? [Remembering how completely silver the ones in Strybing were, it’s hard to imagine what would make a cultivar qualify for the name!] 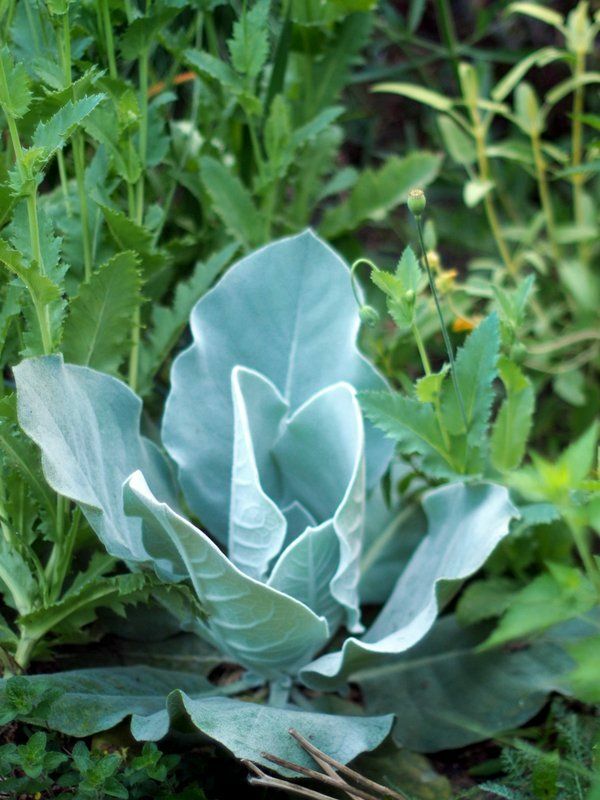 Looking forward to more shots of ‘More Silver’ as the seasons turn, even if only as background for Bloom Day flowers. 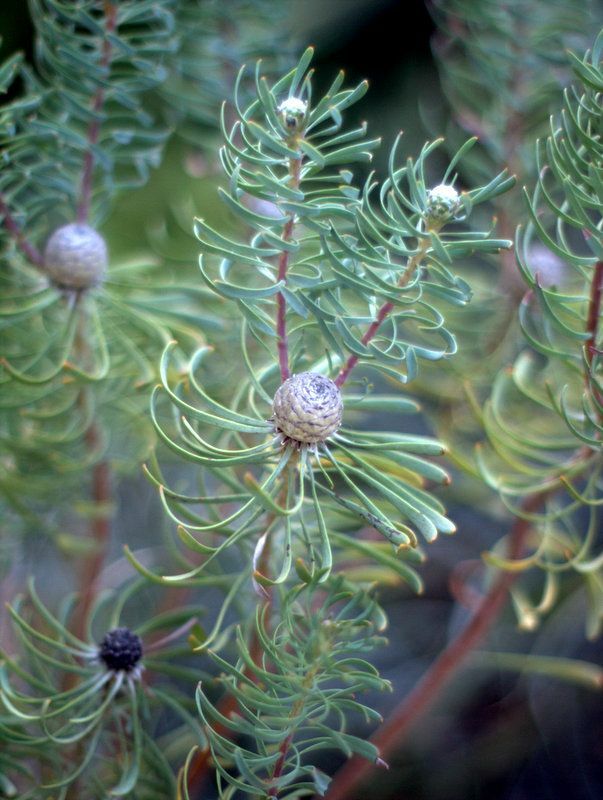 Just realized on re-reading the caption that ‘More Silver’ is a different Leucadendron that the ones in the Strybing Cape Garden, which were L. argenteum, so it’s easier to imagine that the cultivar is distinctly m.s. than the species. 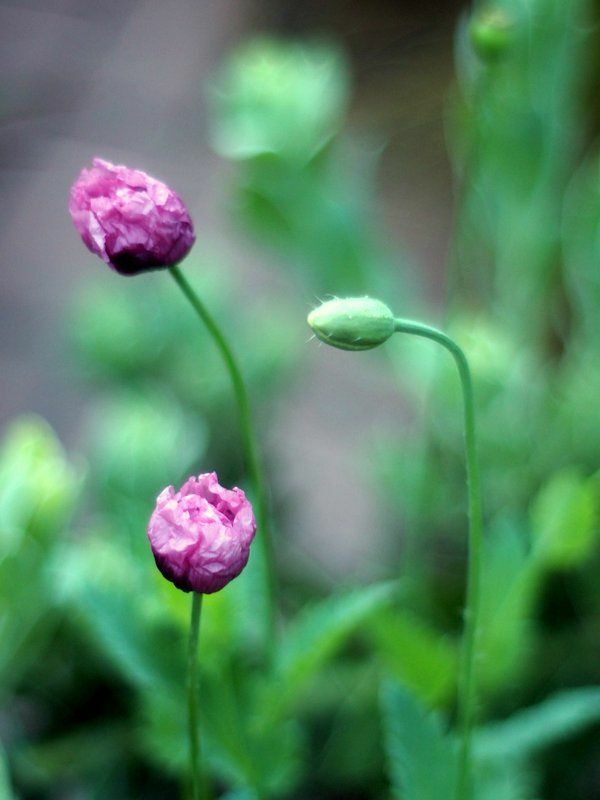 I’m sad for my absent poppies this year. Any seedlings that may have remained after my brutal shotweed pulling are now buried in about 3 inches of mulch. That L. galpinii is completely fabulous. How big is the container it lives in ? Kris, I asked an owner on the tour about the KT flannel bush, which was spectacularly in bloom sprawling under a stand of opuntia, maybe 3-4 in height, 4-5 feet across, which he prunes in that shape. As far as the poppies, I wouldn’t be surprised if it’s all your nocturnal digging friends’ fault. I can feel your excitement! “A mini-preview of retiring,” that sounds dreamy to me. I’ve been chained to my desk for what seems like months and have missed big chunks of spring happening outside. Your photos cheered me up immensely. Nell, I wouldn’t attempt the L. argenteum here. It’s so iffy, I don’t want the pain of loss, so this ‘More Silver’ is compensation. It’s estimated to grow to 6X6. Kathy, the galpinii is maybe in the equivalent of a 5-gallon container. You may not have poppies but your Symphytum ‘Axminster Gold’ is stupendous! I should try that in a pot because the garden is too dry.